After alighting at the Takanohara station (for Nara), we found cosmos’s car waiting for us outside. The gates were flung open and I was seated comfortably in my window seat. All the attention made me feel special. The royal treatment had already begun giving me a glimpse into what was to follow in the three days that I was slated to spend in the town. Once the capital of Japan, called Heijokyo, the town of Nara is one of the oldest town of Japan. Renowned for being the birthplace of Buddhism and boasting of 8 UNESCO world heritage sites set in a peaceful environ, the town gives ample reason to attract any visitor today. As the engine started humming, the beauty of Nara began unfolding before my eyes. Little cafes and restaurants lined the sides of the well laid out streets going up and down, the row houses and buildings, not more than 4 to 5 storey’s tall, peeped out through them. Each bit of it had a characteristic laidback air around it, each layer of it looked neat and quiet... the town’s joy and pride in hanging back in time was clear and stark. 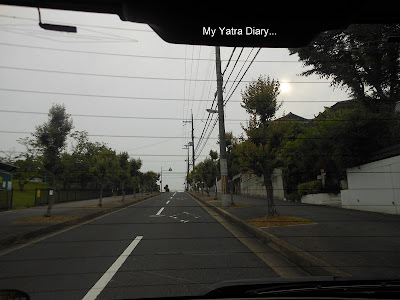 I remember cosmos asking me a question as we drove, Are you feeling the difference between Nara and Tokyo? But I don’t remember answering it then. Perhaps I still needed some time... to frame my answers, perhaps I was busy... soaking it all in, perhaps... I was simply in awe. Or, perhaps... I was just holding my verdict, before I saw more of this historical town of Japan touted as being only second after Kyoto in antiquities. The various historical shrines giving a glimpse into the past, the perfectly manicured gardens or the friendly deers that speak the language of humanity – there was a lot to do and see in the three days of Nara. With such a unique combination of culture, traditions and natural beauty all packed in one place, Nara easily is one of the best kept secrets of Japan that is hard to be missed! And luckily for me, with such wonderful company for keeps, all I was doing was excitedly looking forward to all of it! Tokyo to Kyoto by Shinkansen - 2 hrs. 20 min.At Kyoto, we caught a local train for Takanohara (10 minutes away from Nara Station) station - Around 45 min. Takanohara is well equipped with commercial facilities and spacious parking lots, so it’s easy to pick up visitors coming from Kyoto. Another wonderful tour you've taken us on, Arti!! So much beauty there!! Hope you had a good weekend and enjoy your week ahead! When you visited my blog, you asked what the tall building was -- that's the Space Needle and was built the year that Seattle hosted the Olympics -- my memory just slipped and I can't remember the year, but you can find more info online under Seattle/Olympics!! Oh, how lovely to meet blogging friends who showed you around Nara! I hope you have more posts on this. The third and fourth pictures actually look a lot like any city here in America! Everything looks so neat and quiet here indeed - quite relaxed and in peace. Such a gorgeous town! Nara looks like a wonderful historical town and thanks for showing us around. Nice to have the royal treatment and to feel special. I'm sure i will love this city Arti, look peacefuly and quiet, i want to see the shrines there, do you take a picture? Wonderful pictures and yes, that mascot is interesting! Lovely pictures . Looks like real treat to visit Nara . Thanks for the virtual tour . @Arti Thanks for sharing.Nice photos and post. Such a serene town. Nice post Arti. Hi there - I like the way you have included the jumping deer sign in the last picture! Is it just me or does the town look almost european (minus the street signs of course)? Interesting photos, Arti! Bloggers make the best friends! @Sylvia: Thank you very much, Sylvia. It looks beautiful. @Mareta: I'm sure, you will love it Mareta. I have visited quite a lot of Temples and will be writing about all of them in the coming posts. 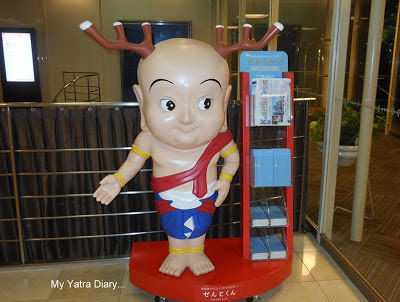 At last your Japan yatra has reached Nara in your blog. Nara City consists of two aspects, an ancient capital city and modern bedroom town to the neighboring big cities, Osaka and Kyoto. 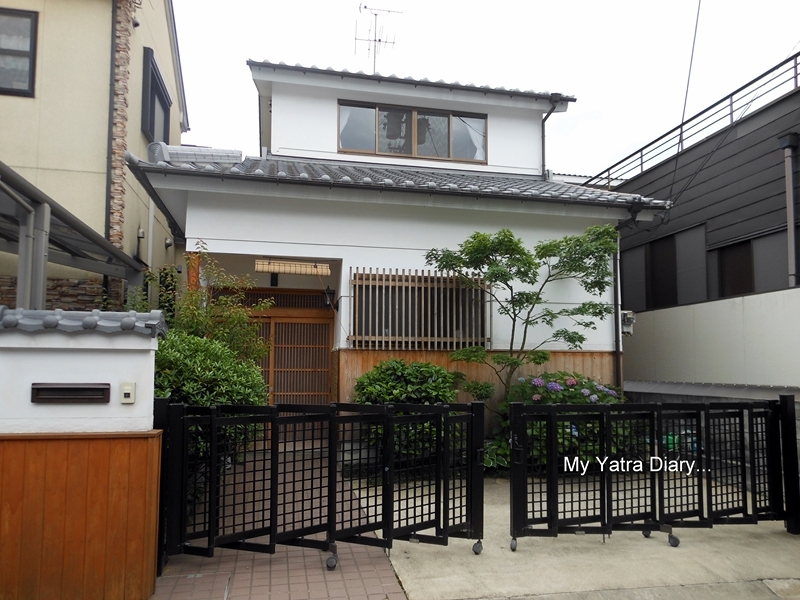 The streets you drove through is relatively newly developed residential area. I like that the streets here are clean and quiet. The kind of place I'm wishing to be right now. How wonderful to see and hear of 'old' Japan, as always my thanks for sharing this. I really enjoy seeing your pictures, since they are so different from the daily things I see here. 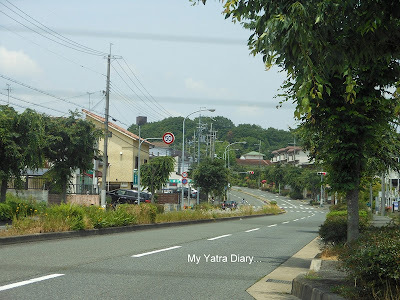 Hi Arti, I enjoyed seeing your initial street views of Nara. Will look forward to more pics. You were a brave traveler but lucky to have such caring blog friends as guides. PS wanted to tell you that my Cardiologist's parents came from India. He is first-generation American. Very smart and compassionate. I am fascinated by Japan. It seems like such a wonderful place to visit. Would love to travel around the place and see it in detail. 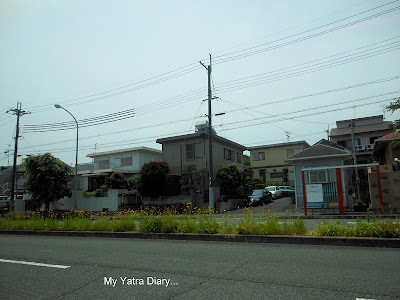 As stardust says, those areas were developed as a part of newly designed city, Gakken Toshi I posted in my latest blog, so some readers might as well think it looks like an American or an European city. We were heading for a traditional Nara then. You can feel the slowness of the town compared to the tall buildings and busy traffic in Tokyo. Here you can relax and breath. Thanks for the comparison. 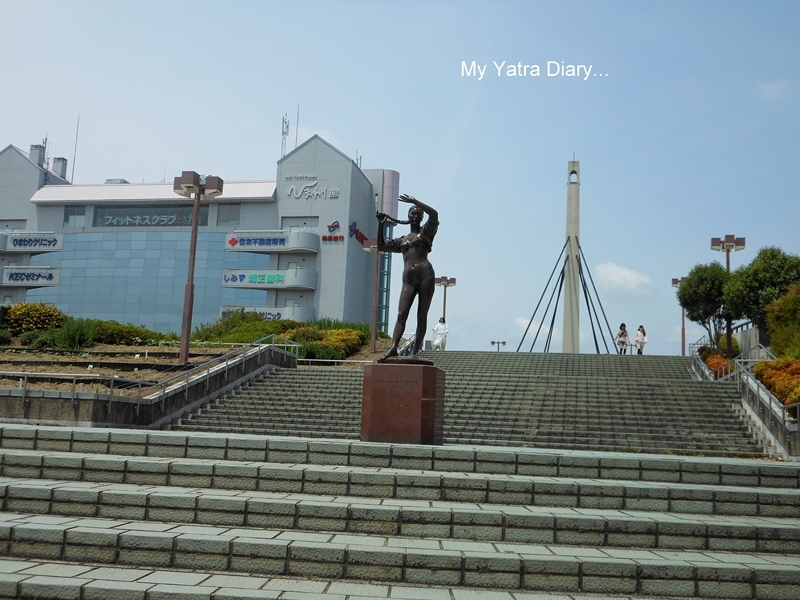 I enjoy reading your narration of your Nara experience Arti, so glad to learn about it through your words and pictures. @ALL: Thank you for kind comments everyone. Nara is indeed a very fascinating town of Japan. @stardust, @cosmos: Very interesting. Thanks for sharing. The relatively new area of Nara also looked quite charming and so old to us. Perhaps, it's because we are used to seeing a huge jungle of concrete in Mumbai, everyday. @Barb: I was lucky indeed to have all their care. Thanks for sharing that information on your cardiologist. Interesting to know of that! The thing I noticed from this post is that I could not locate any human population in pictures. While it looks Tokyo is very populated and low on space. I could see you were in awe, Arti! Loved the tour. What a wonderful tour you're taking us on! Nara does look like Tokyo's total opposite. 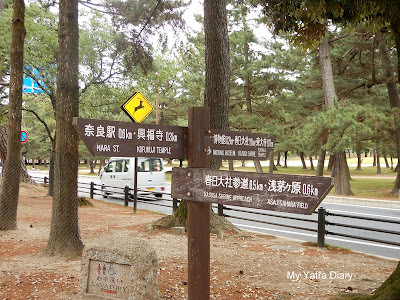 We wanted to visit Nara during our Japan trip but didn't have enough time. So, thanks for taking me along on this journey. Love how those Japanese houses look. 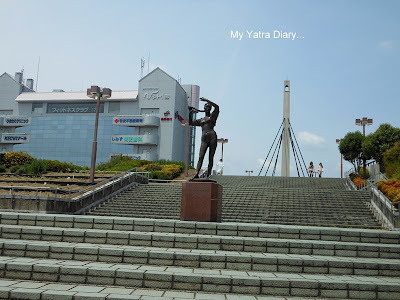 Thank you for the virtual tour of Nara! Thank you everyone, yes I was in awe and I was loving every moment of it! @Mary: Tokyo and Nara were quite different as I could not see any of those sky scrapers or the glitzy malls that Tokyo boasted of. As AVCr8teur has rightly pointed out above -- Here you can relax and breathe. @Abhishek: Good observation. Nara did have this quiet air, all around it. Seems like am almost real tour of Nara :) Thanks Arti. Wonderful journey indeed. the silhouette of those pagodas look very similar to that of the temples in kathmandu valley. It's interesting to see the roads and houses like a normal area. All I have mostly seen of Japan is in the city or something historical. Never really what everyday housing is like. Great experience. I like the details you mention. Secret no longer, Arti! now your legions of readers know abt Nara! This sure looks a wonderful place. Nara is such a beautiful place! !keep them coming!! Nice place!! The pictures are really awesome. Lovely narrative and pictures yet again, Arti. I have not been active on your blog for a long time now and plan to be back in full form. Your travel tales have a life of their own! Keep it going!